Ming Pei completed his PhD from Beijing University, China and Postdoc training from Harvard-MIT Division of Health Sciences and Technology, USA. Currently he is a tenured Professor and Director of Stem Cell and Tissue Engineering Laboratory in the Department of Orthopaedics, West Virginia University, USA. 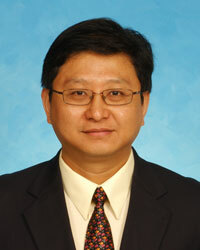 He has over 100 publications that have been cited over 3100 times, and his publication H-index is 32 and has been serving as an editorial board member of reputed Journals.